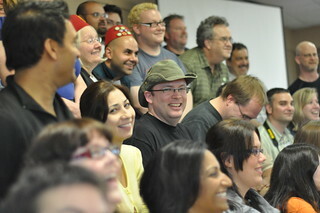 Podcasters Across Borders 2009. Licensed under the Creative Commons By Attribution, Non Commercial Use Only license. Please credit www.FinancialAidPodcast.com and www.ChristopherSPenn.com if you use this photo under the license.